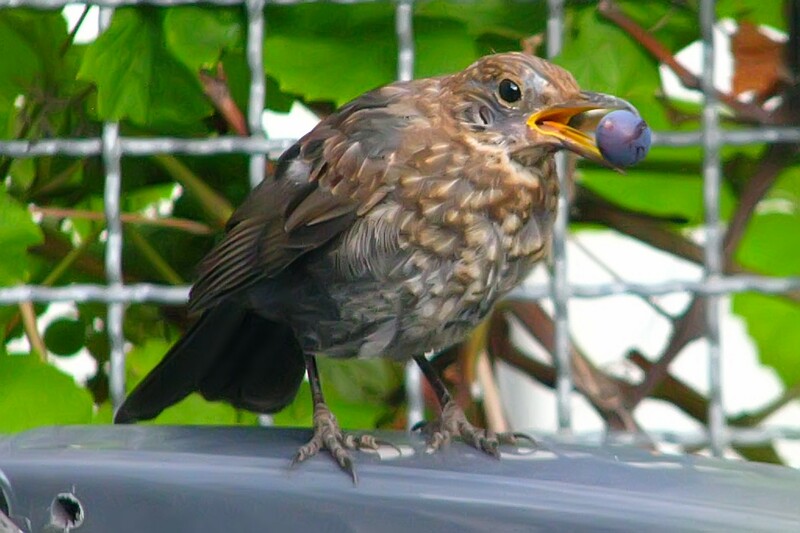 A second photo of yesterday’s mystery bird solution – it was just a young blackbird taking advantage of the wine grapes. It was quite relaxed and later we saw it sitting quietly amidst the wine leaves again. Hopefully it isn’t staking out a nesting place for next year! 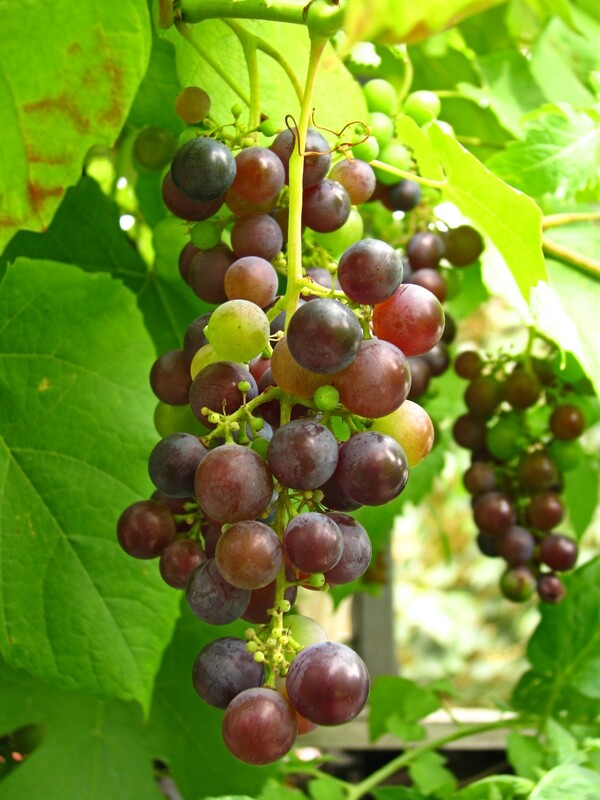 The grapes are really starting to go deep blue now, hopefully they don’t all become bird food! 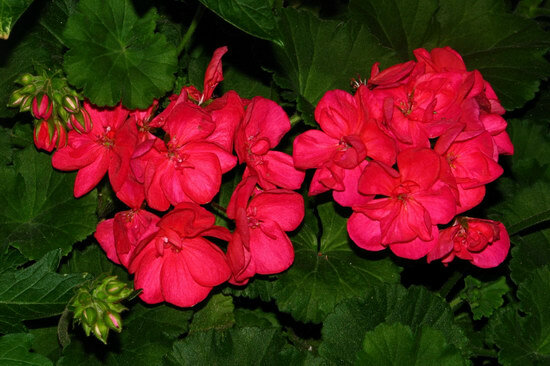 Geranium (alias Pelargonium!) 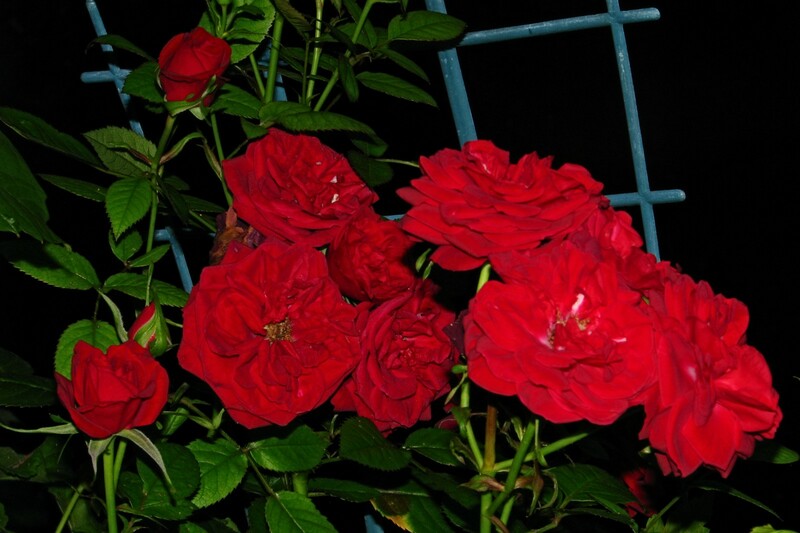 blossoms in the night. 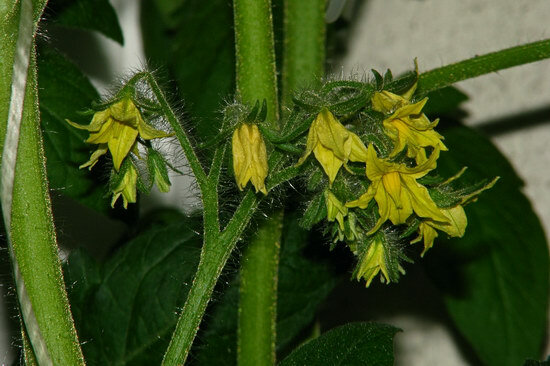 Some Tomato blossoms from mid-June, looking strange with the camera flash. 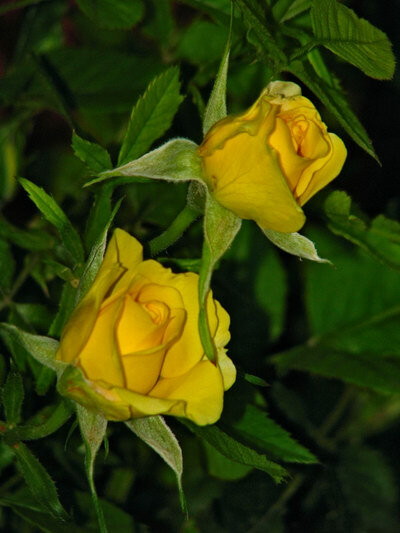 Slightly soft yellow Roses in the dark. 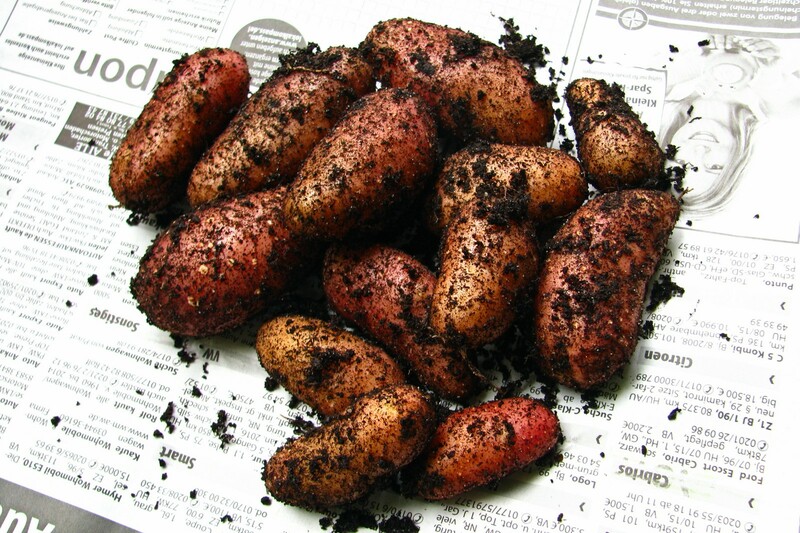 ever had, especially considering they grew only in a bucket. More Roses in a different (flash)light.